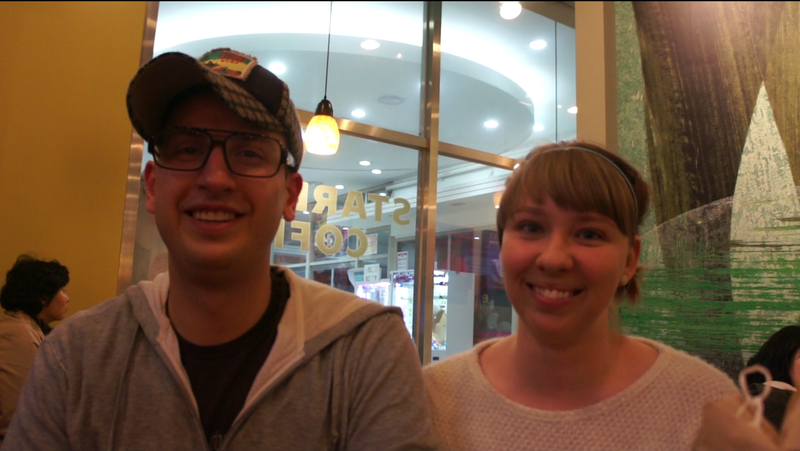 We meet up with YouTube celebrity couple, Simon and Martina, all the way in Bucheon, South Korea. Would you learn about Korea from Canadians? Yes, if they’re Simon and Martina Stawski, who are so popular their YouTube channel is the 18th most subscribed in South Korea. The UrbanWire speaks with YouTube celebs in the league of Korean boy-band Big Bang and guitarist Sungha Jung at a Starbucks outlet in Bucheon, South Korea. 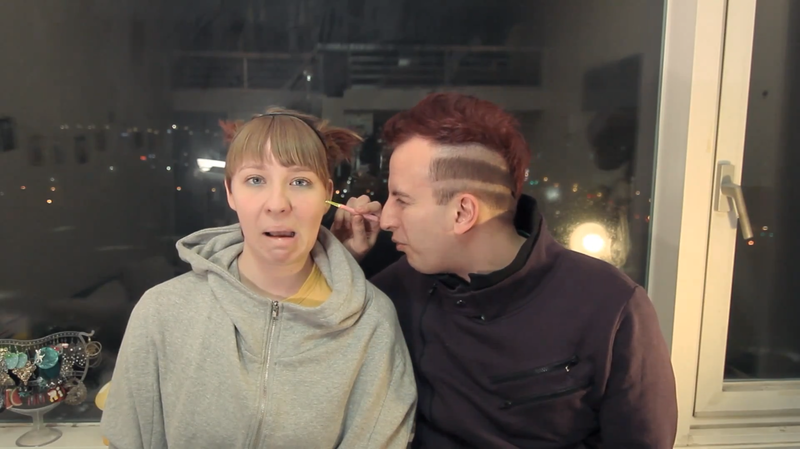 These unlikely ambassadors of Korean culture to the world run the Eat Your Kimchi website are better known as Simon and Martina on YouTube, where they upload 3 videos weekly, speaking about topics ranging from Korean pop music, local products and events. Many of the over 750,000 monthly hits on their website are probably drawn to the expat couple’s knack for humour, given their comedic sketches and how-tos about daily life in Korea, like the “How to speak Korean like a pro” series, which touches on speaking the language. But how did the Stawskis’ love for Korea start to blossom? Simon, 28, attributes this to their food experiences at Koreatown in hometown Toronto, where they first had a taste of Mul naengmyeon [물 냉면], a traditional cold buckwheat noodle dish. “The best Mul naengmyeon I’ve ever had is in Canada,” Simon attests, smacking his lips with glee. Simon describes his experience with teaching Korean students as “wonderful” and so when the “golden opportunity” to teach in Korea came, he had to “take a chance at it”. The couple finally came to Korea in 2008 to teach English as a foreign language. So it came as an enormous surprise when the Stawskis saw viewership of their channel climb into the millions in 2009. “No way,” Martina said, on whether they expected so many views and subscribers to pour in. “We’re still totally shocked, we act like how we do in real life, so we thought people won’t be interested (in our videos).” Still, the Stawskis are thrilled when people leave comments and video responses to their videos. “We have a fan from Japan who watches our videos to cheer (herself) up, after being crushed by what’s happening there,” Simon said, referring to the earthquake and tsunami. The Stawskis usually upload music reviews on Mondays, known as Music Mondays and on Thursdays, a product review segment called WTF – Wonderful Treasure Find. Requests from music fans are taken in for Music Mondays, and the songs or music videos with the highest number of requests are considered before filming a review for the song begins. The Stawskis review all sorts of quirky products sold in Korea. In this instance, an illuminated ear pick. Their partnership with YouTube has brought a new source of income for the Stawskis, which, Simon revealed, is close to how much they earn as teachers. Simon works full-time on the Eat Your Kimchi website, and he will be joined by Martina, when her teaching contract ends in June. “By then, I want to work full-time on the blog, take more trips around Korea and also travel to other parts of Asia,” Martina adds. My eyes lit up on the mention of traveling around Asia. Could they be planning to come to Singapore soon? As a quick intro, I fished out a small silver figurine – the Merlion, Singapore’s famous tourist icon. “Mol-la-yo? (몰라요)” Simon asks, remarking that the icon with a lion’s head and a fish’s tail sounds like “I don’t know” in Korean. Could they really be unfamiliar with our country or was it a joke, since they had mentioned having fans from Singapore? Martina’s message to Singaporean fans was certainly assuring. Look out, fans. Eat Your Kimchi is coming to Singapore soon. Simon and Martina’s YouTube channel is at youtube.com/simonandmartina. Their website is at eatyourkimchi.com. Photography by Luqman Hakim Khoo.